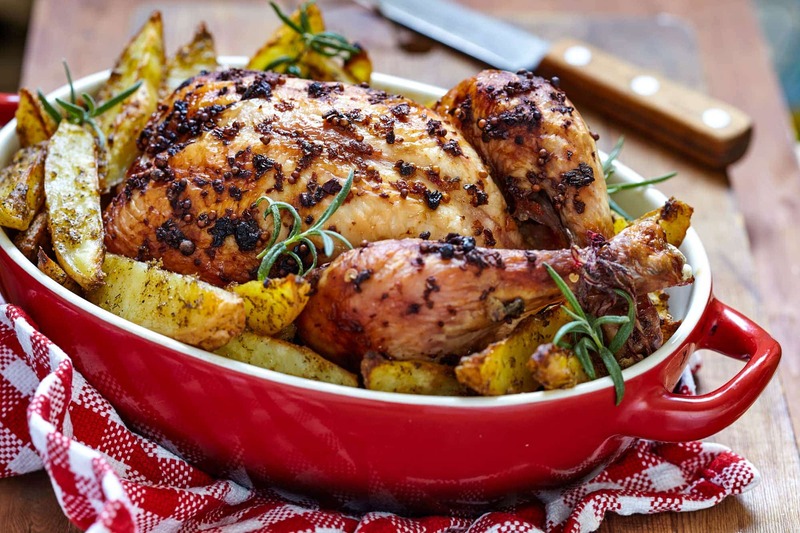 Take a culinary trip to Tuscany with this delicious Tuscan roasted chicken recipe. Seasoned with white wine, oregano, and lots of rosemary, this chicken is full of flavor. Massaging it with a few tablespoons of extra virgin olive oil ensures that the meat stays moist, and two whole chili peppers add just enough kick to liven everything up. For the best flavor, I recommend using Calabrian chili, a small but flavorful pepper from the Calabrian region of Italy. You can recreate this recipe by going to your butcher and getting the freshest organic, free-range chicken, then adding fresh organic veggies and roasting them all together in your oven. Experience this easy yet special dish from my trip to Tuscany. 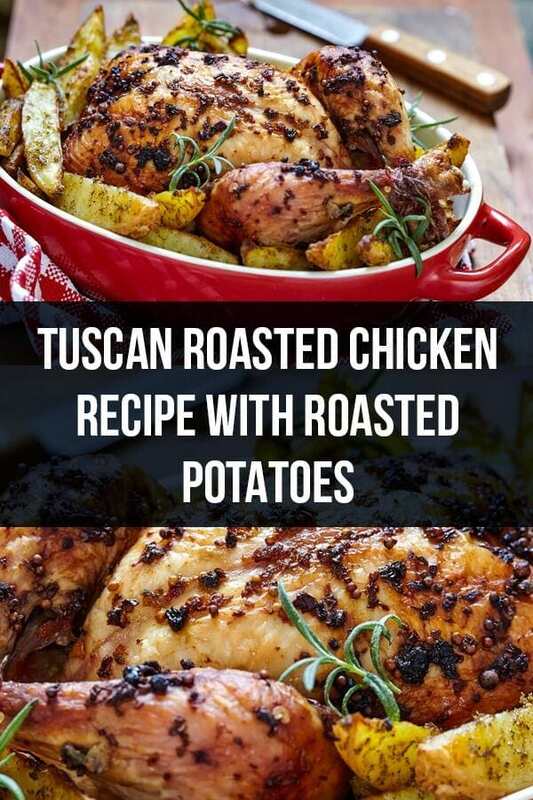 Enjoy this roasted Tuscan chicken! Sprinkle some extra virgin olive oil in a roasting pan and place 14 of the rosemary sprigs in the bottom of the pan. Place the chicken on top of the rosemary sprigs and massage it with the olive oil, then season generously inside and out with salt and pepper. Place the 2 remaining rosemary sprigs in-between each wing. Place the potatoes, chili peppers, and carrots around the chicken and season with salt and pepper to taste. Bake uncovered 1 hour and 30 minutes, to a minimum internal temperature of 165 degrees. Remove from the oven and baste with the juices and drippings. Cover with aluminum foil and allow to rest about 10 minutes before serving.